Note: This tutorial was based on instructions found on this blog. The Raspberry Pi 3 comes with a built-in wireless adapter, which makes it easy to configure it as a WiFi hotspot to share Internet or host your own internal web site. The first part of this guide will show you how to set up the Pi to broadcast its SSID, accept WiFi connections, and hand out IP addresses (using DHCP). 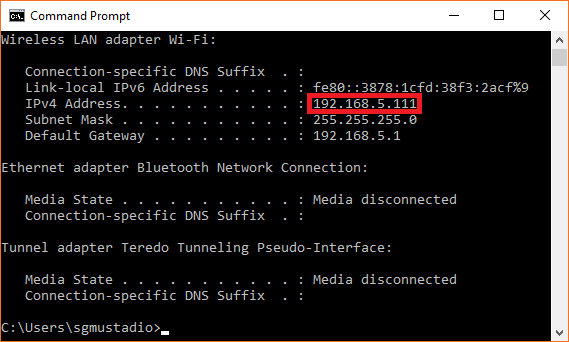 The next section shows you how to enable a pass-through Ethernet connection should you want to share your Internet connection. 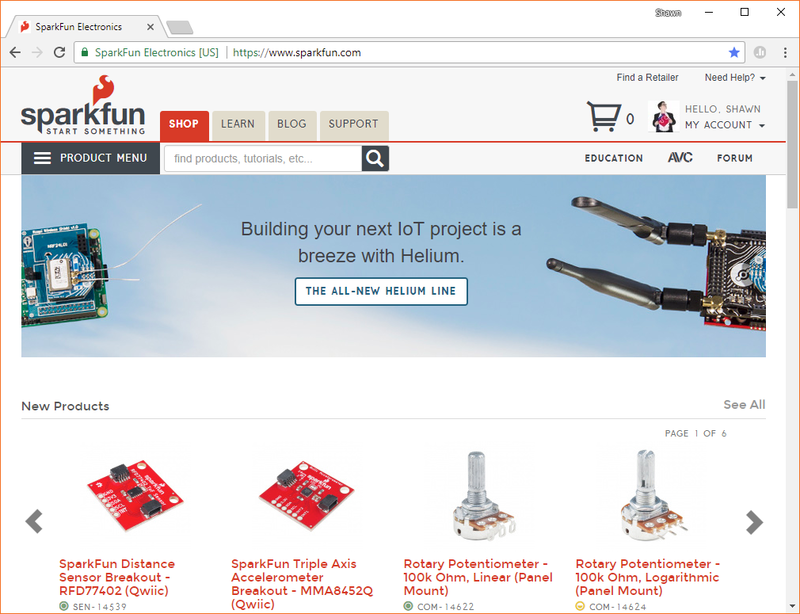 You will want a Raspberry PI 3 or Raspberry Pi Zero W along with any hookup accessories you might need (for example, a power adapter and micro SD card). 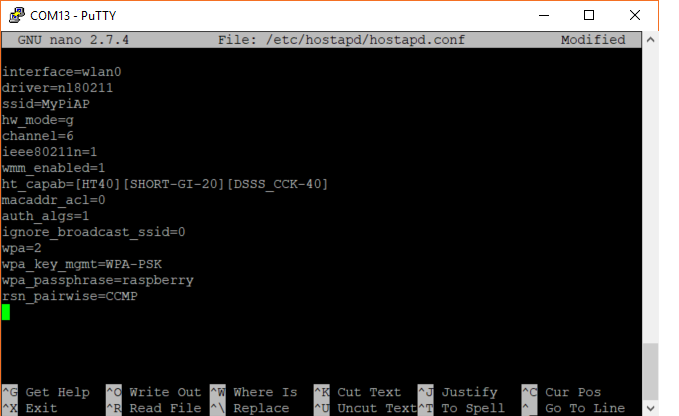 You will want to load an operating system (OS) onto the SD card and be able to log into the Pi and open a terminal. Note: This tutorial was created with Raspbian Stretch (version: March 2018). Using a different version may require performing different steps than what's shown in this tutorial. If you would like to download the March 2018 version of Raspbian, it can be found below. The getting an OS part of the Raspberry Pi 3 Starter Kit guide walks you through a few options to installing NOOBS on the Pi. 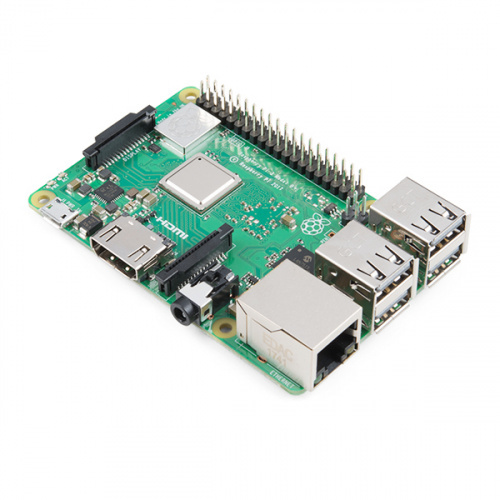 Getting Started with the Raspberry Pi Zero Wireless tutorial is a good place to start if you have a Pi Zero W.
The Headless Raspberry Pi Setup guide is useful if you are looking to configure your Pi without a monitor, keyboard, or mouse (e.g. log in through serial or SSH). Make sure your Raspberry Pi is connected to the Internet. Open a terminal window (either in a console window or over a serial/SSH connection). 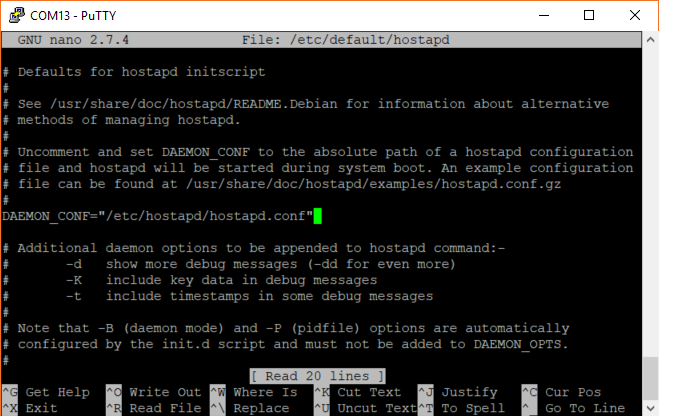 Hostapd is a program that allows you to use the WiFi radio as an access point, and Dnsmasq is a lightweight combination of DHCP and DNS services (handing out IP addresses and translating domain names into IP addresses). 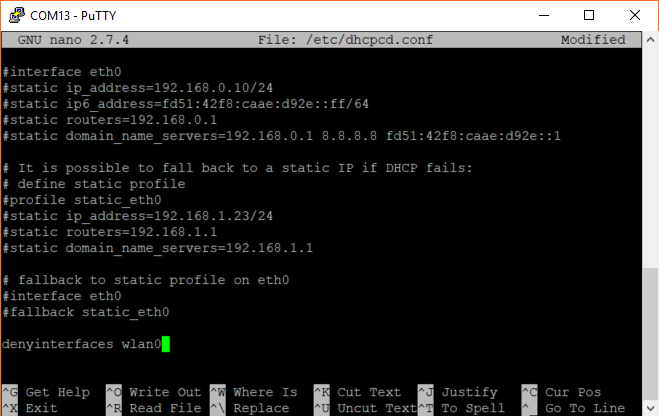 In recent versions of Raspbian, network configuration is managed by the dhcpcd program. As a result, we'll need to tell it to ignore the wireless interface, wlan0, and set a static IP address elsewhere. Note: If you are connected to your Raspberry Pi using SSH over wireless, you will want to connect with a keyboard/mouse/monitor, Ethernet, or serial instead until we get the access point configured. Your terminal window should look similar to the image below. Save and exit by pressing ctrl + x and y when asked. Enter the following into that file. Feel fee to change the ssid (WiFi network name) and the wpa_passphrase (password to join the network) to whatever you'd like. You can also change the channel to something in the 1-11 range (if channel 6 is too crowded in your area). In the blank file, paste in the text below. Note that we set up DHCP to assign addresses to devices between 192.168.5.100 and 192.168.5.200. Remember that 192.168.5.1 is reserved for the Pi. 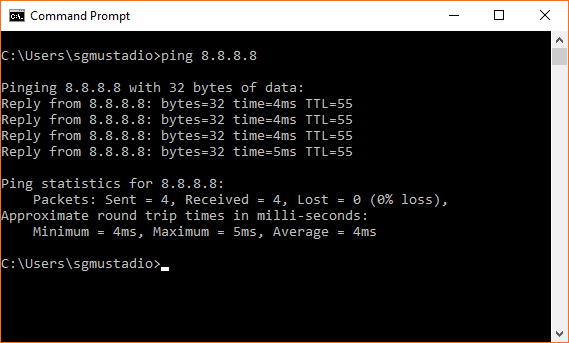 So, anything between 192.168.5.2 - 192.168.5.9 and between 192.168.5.201 - 192.168.5.254 can be used for devices with static IP addresses. 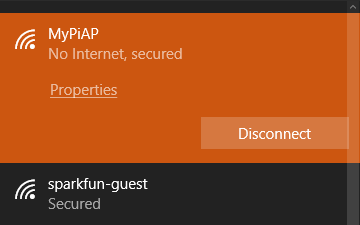 After your Pi restarts (no need to log in), you should see MyPiAP appear as a potential wireless network from your computer. Connect to it (the network password is raspberry, unless you changed it in the hostapd.conf file). 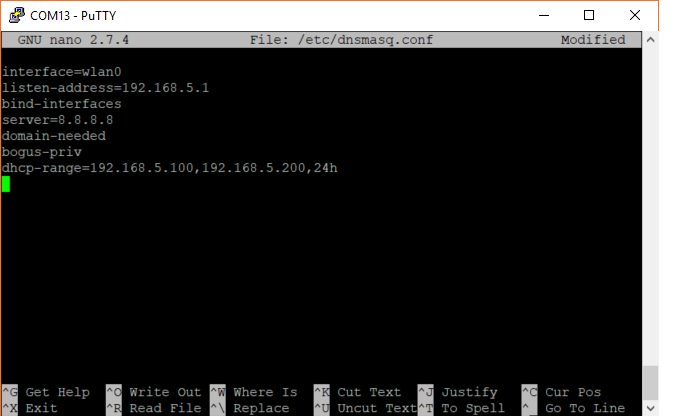 Open a terminal on your computer and enter the command ipconfig (Windows) or ifconfig (Mac, Linux). You should see that you have been assigned an IP address in the 192.168.5.100 - 192.168.5.200 range. Here&apos;s an example of what you may see after connecting wirelessly to the Pi. If you just want to use the Pi as a standalone WiFi access point, you can stop here. If you want to connect it to another network (over Ethernet) in order to share Internet (much like a WiFi router), continue on. We can use the Raspberry Pi as a router by being able to connect it to another network over Ethernet and have WiFi-connected devices be able to talk to that network. By doing this, we can share an Internet connection from the Pi. 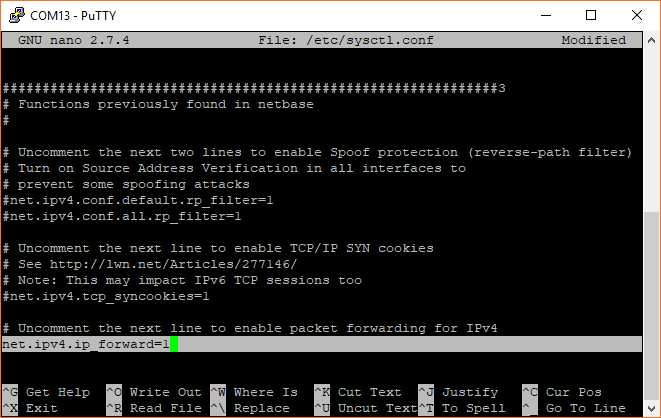 Look for the line #net.ipv4.ip_forward=1, and uncomment it by deleting the #. Save and exit by pressing ctrl + x and y when prompted. Give your Pi a couple minutes to restart (once again, no need to log in). Connect an Ethernet cable from your Internet router (or switch, etc.) to your Pi. 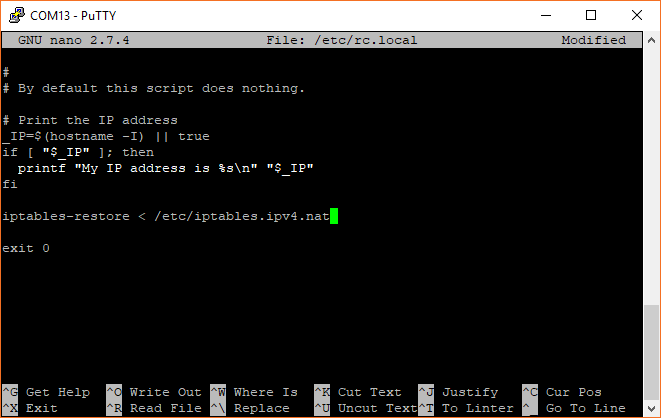 Once the Pi has started, connect to the MyPiAP network from your computer. Open a web browser, and navigate to the website of your choice. 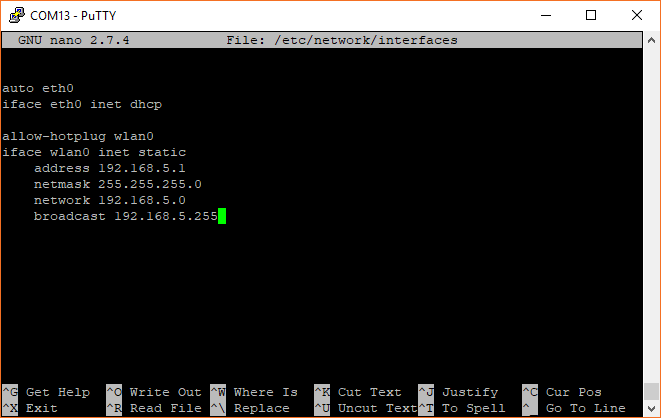 You can also open a terminal on your computer and ping a known Internet address (e.g. 8.8.8.8 is one of Google's Public DNS servers). With the Raspberry Pi set up as an access point, you can now configure it to host a web site (e.g. using Apache), share drive space (e.g. Samba), and any other fun router customizations you might want (but on a Pi, instead! ).